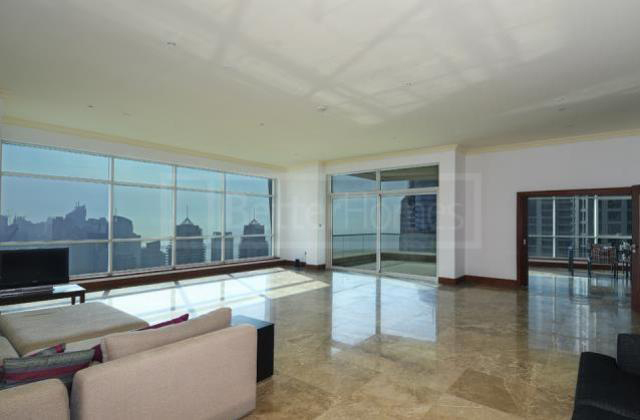 Situated in this modern 55 floor tower in Dubai Marina, this spectacular penthouse is on the 49th floor and is 5600 sq ft in size. 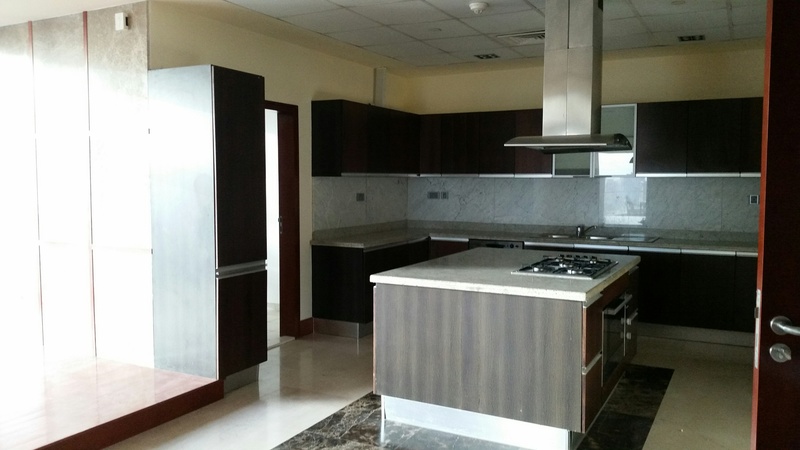 It has 5 bedrooms which are available for rent and also includes a separate maid’s room and a huge frontal terrace which overlooks the Marina Harbour. The surround glass views display the Palm landscape and Sky Dive. 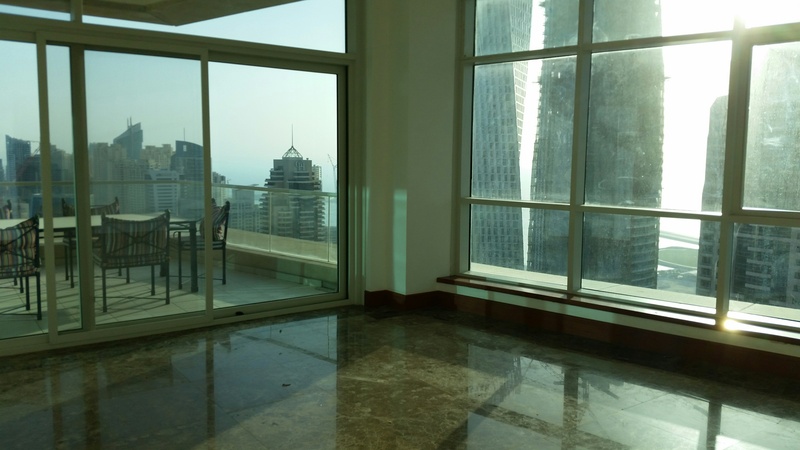 Marina Heights Tower is a well-known residential address located at the beginning of Marina Walk with direct walking access to over 3 km of retail shops, restaurants and the Dubai Marina Mall. 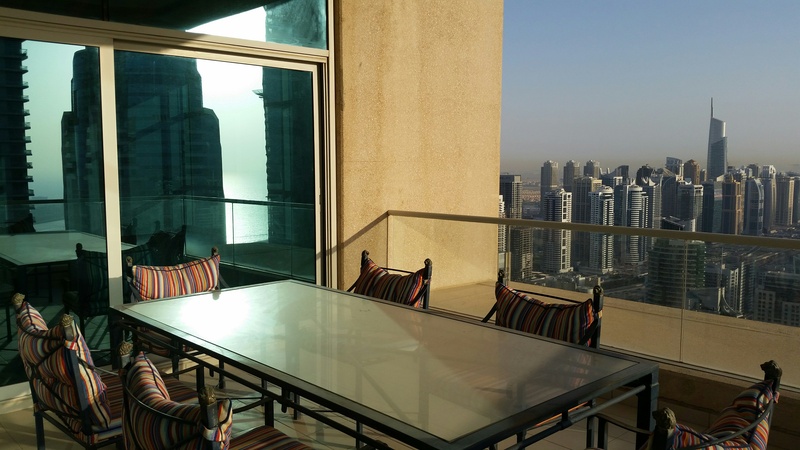 It is also within a short distance of the Dubai Tram. 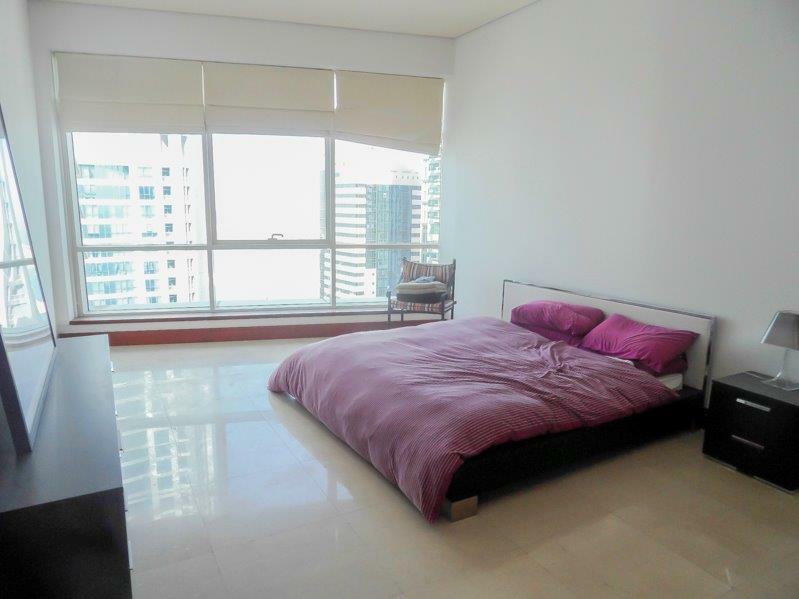 The rent will include DU (TV & WIFI) and DEWA (Chillers & Electricity). 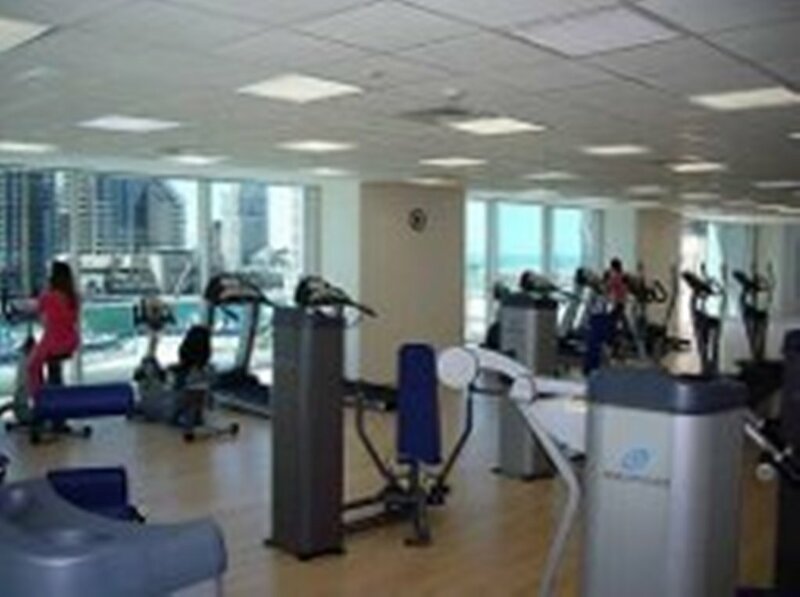 All tenants will have one parking space, access to the state-of-art gym and two large swimming pools. 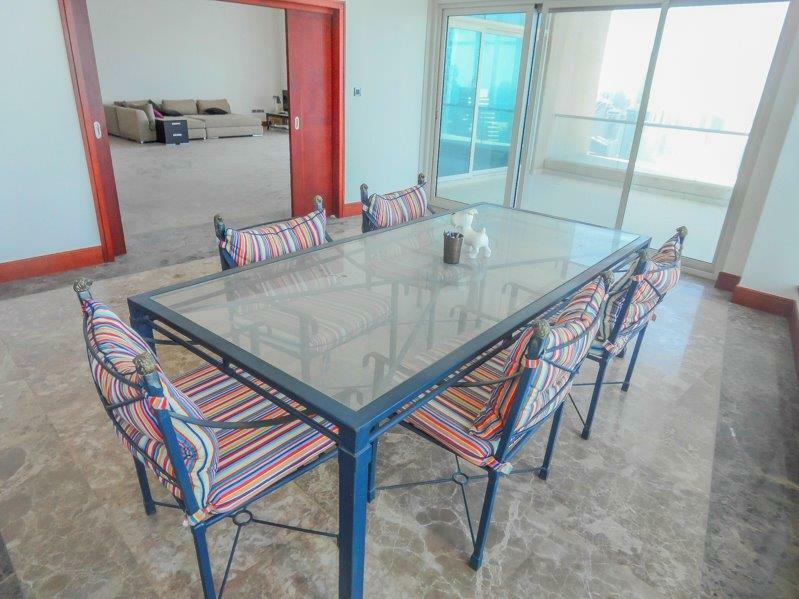 There is a recreational area for children and Jacuzzi and sauna facilities. Marina Heights has 24 hour security and concierge service.